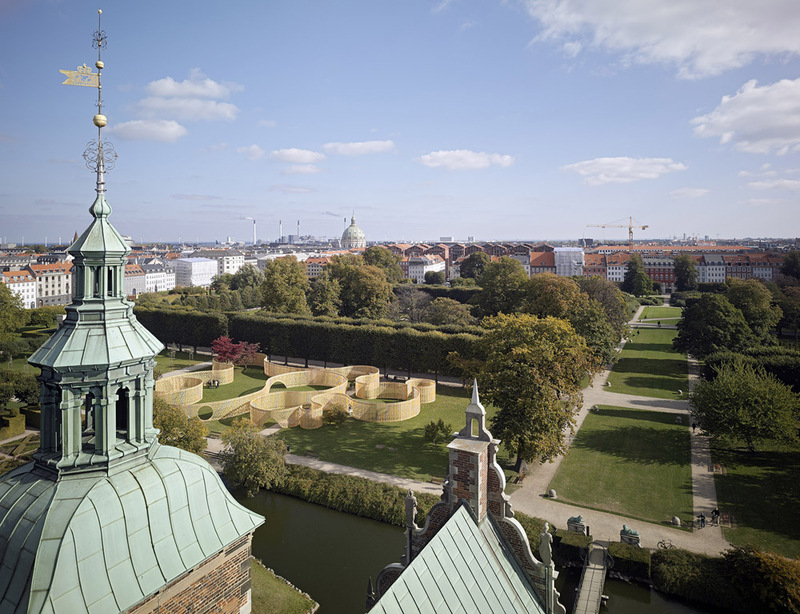 Trylletromler is a temporary pavilion developed by FABRICations for the garden of the Rosenborg Castle. 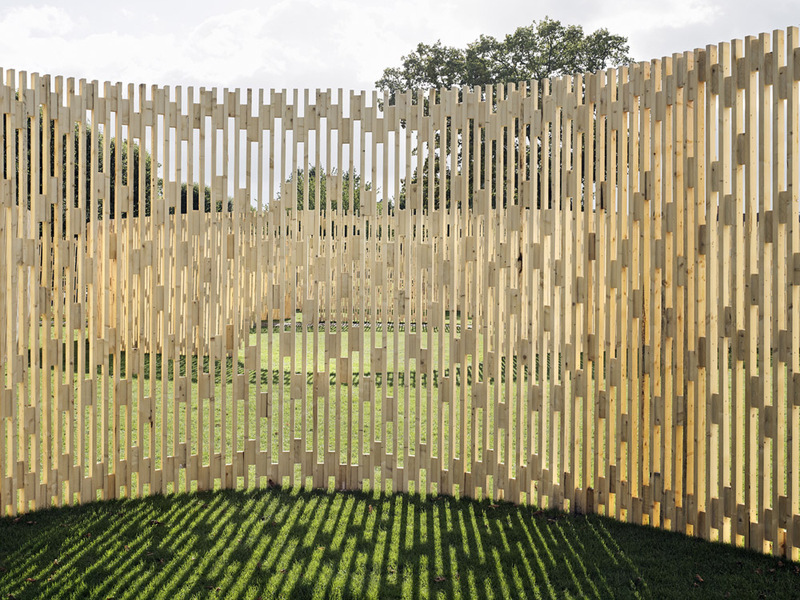 The context of the Renaissance garden offered an opportunity to rethink the traditional pavilion, which is here reinterpreted into a dynamic fence, semi-transparent, and with the appearance of an object in motion. 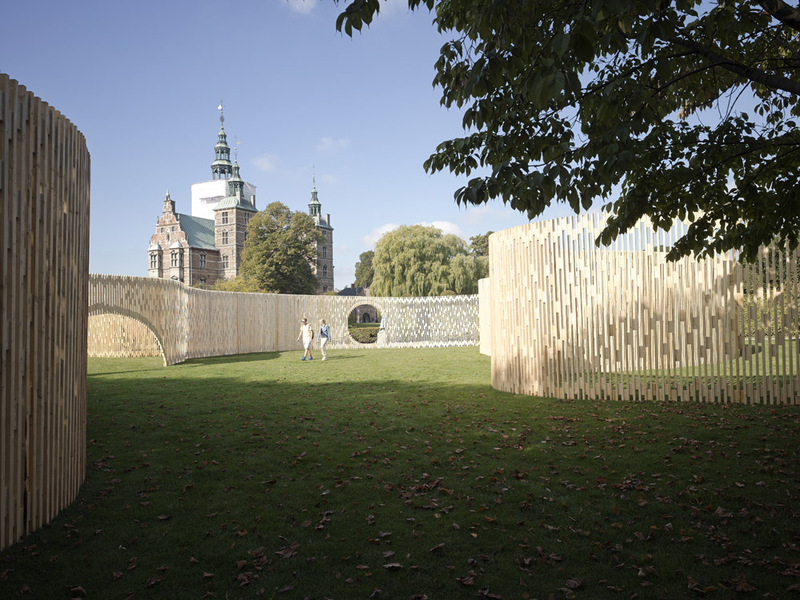 From this last aspect, the project takes its name, which is the Danish translation for “zoetrope”, a 19th century device that activates an impression of movement within a still image. 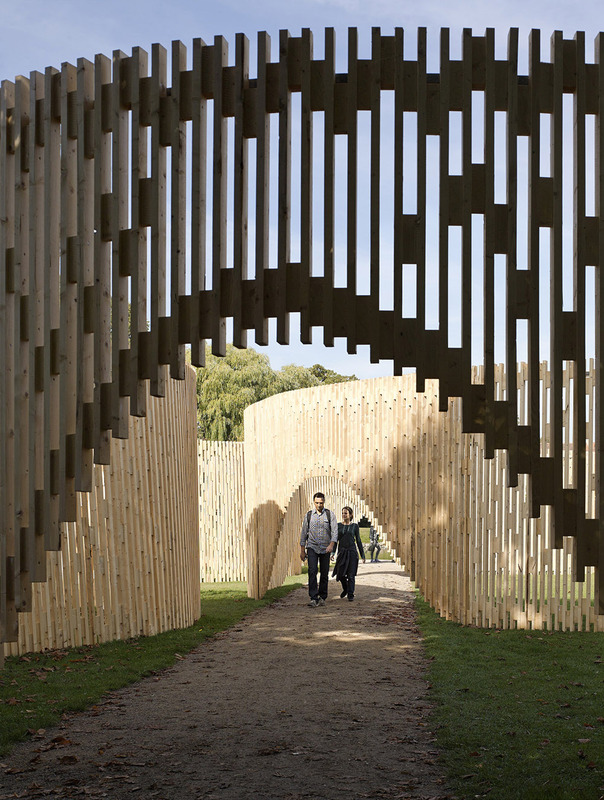 The wooden construction, made out of 3000 standard pieces of Nordic timber, is shaped to restrict movement across the boundary, and to perform openings for strategical entrances and points of interest. Based on these principles an intriguing floor plan was designed using a composition of ten perfect circles. 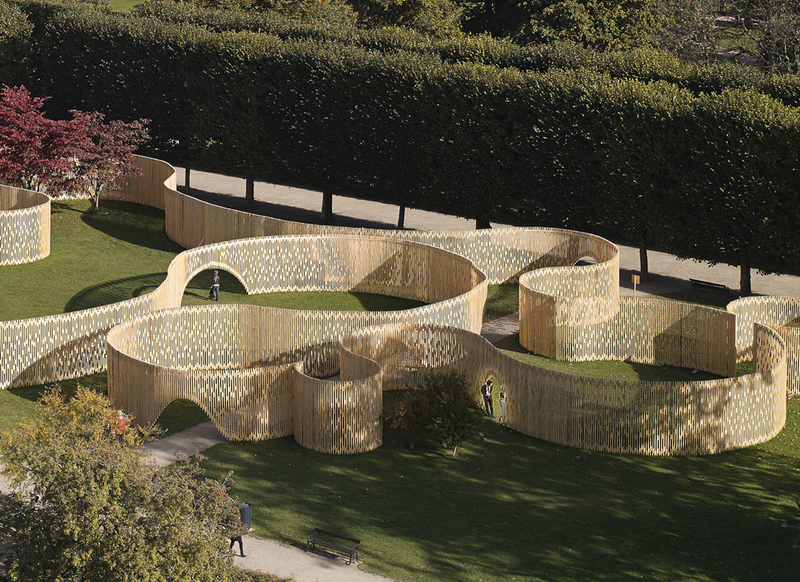 The plan design reacts to given circumstances such as the exit of the rose garden, the statue by the water, sight lines towards the castle, existing tree lines and the position of solitary trees. In addition, the project was also approached from the point of view of the material cycle. 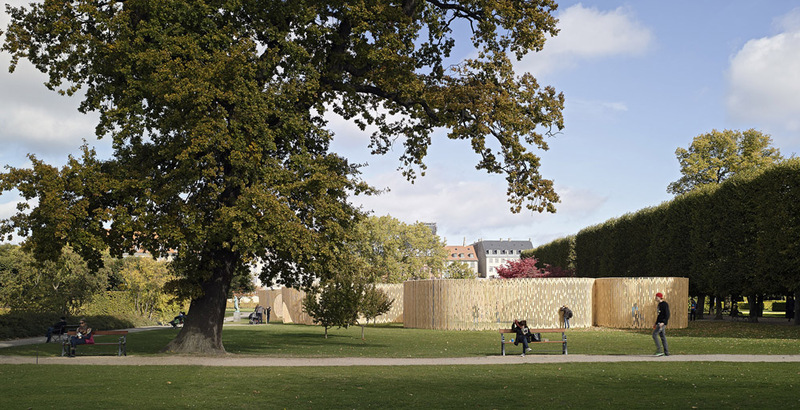 In order to preserve a sustainable cycle for the construction materials, the wood was repurposed to be used for models and prototypes by the students of the Copenhagen university. Trylletromler has been published on numerous international websites and blogs, amongst others Dezeen, Archdaily, Designboom.com, Inhabitat, Takeacharcoal and Dutch architecture magazine De Architect.